Unexpected demand? Just relax, we’ll handle it. You’re only a click away from finding the quality you need to keep your business moving. 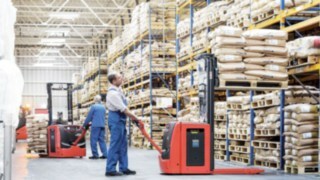 At Linde Fork Truck Rentals we offer you quick, simple and easy access to the widest choice of materials handling equipment available on the market today. With us, you’ll benefit from the latest technology with perfect operator ergonomics, proven reliability and industry leading levels of safety. From as little as one day to as long as you need, it’s up to you to choose your hire period. Our local rental fleet is fully dedicated to handle your needs. For specialist equipment, the Linde network can support you with our 45,000 strong truck fleet available throughout Europe. 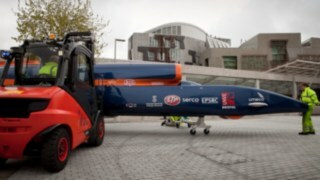 If your application or needs change during the hire, we can deliver another truck to fit your new requirements. You may return the truck at any time, extend the duration, or switch to another truck. Our rental solution is supplied from the largest modern fleet which is maintained by our own factory trained technicians. Before delivery, each truck must pass a multi-point inspection to comply with our set standards, legal and safety requirements. To maintain our fleet profile, we add 10,000 trucks per year to ensure you benefit from the latest model. Alongside forklift trucks and warehouse handling equipment, Linde rental solutions gives you access to other more specialised trucks and equipment whenever you need to use them on a temporary basis, including container stackers, special trucks, work platforms and accessories. This diverse range allows companies to put together their very own fleet that runs like clockwork. Accessibility: We are just a phone call away and with our comprehensive network, we are always close to your business. Our trained rental team will quickly and accurately assess your needs and provide you with the best solution. 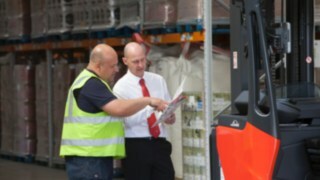 Expertise: To maintain a high level of expertise and customer service, our rental controllers are regularly trained to understand the material handling needs of your business. Availability: Our local fleet is fully dedicated to shortterm rental and ready to handle your needs. For specialist pieces of equipment the Linde network can support you with our 45,000 strong truck fleet availale throughout Europe. Flexibility: From a few hours to several months, it’s up to you to choose your hire period. Simplicity: Our truck can be in operation on your site within 24 hours. Our dedicated transport will ensure that the equipment is delivered to you exactly when you need it. Reliability: Our trucks are fully maintained by our own service teams. Before delivery, each truck must pass a multi-point inspection to comply with our set standards, legal and safety requirements. 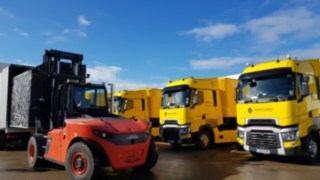 Adaptability: If your application or needs change during the hire, we can deliver another truck to fit your new requirements. You may return the truck at any time, extend the duration, or switch to another truck. Assistance: If you require any additional assistance we are only a phone call away. Guarantee: We keep our promises. What we quote is what we invoice. Your ideal truck at a price you can afford. Simplicity: We know it’s easy to be drowned by paperwork. Therefore we reduce the administrative side to a minimum and make invoicing as simple and easy as possible. Satisfaction: Because the best way to improve our service is to learn from your experience and advice, we conduct satisfaction surveys on a regular basis. Assistance: Training opportunities for operators. 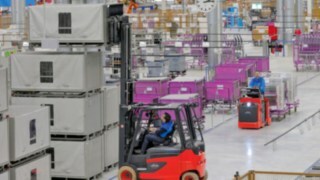 Regardless of whether for forklift trucks and warehouse handling equipment or automated trucks, the Linde spare parts service delivers worldwide, around the clock and, in most cases, the following day. For maximum availability and high fleet efficiency, Linde Material Handling provides comprehensive services for servicing and repairing industrial trucks and driverless transport systems. 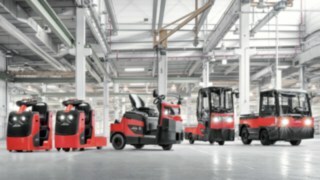 With leasing, rental, rent-to-own and short term rental, Linde offers flexible financing options for forklifts and warehouse technology. The Linde Rental Solutions has been ensuring fast and professional set-up and dismantling as well as performing other logistics tasks at the Formula Student Germany for many years. This requires a number of challenges to be overcome. Linde takes care of the statutory checks for your industrial trucks and rack systems, and provides additional intralogistics consulting and services.